Was Spain Neutral or a Nazi Ally in World War Two? Of the many officially neutral countries in World War Two, Spain was perhaps the country closest to Nazi Germany and Fascist Italy. Here, Laura Kerr follows up on her article on Switzerland in World War Two, by considering whether General Franco’s Nationalist Spain was a friend of Hitler, or actually neutral between the Allies and Axis Powers. Francisco Franco is the figure second from the right. Nazis Karl Wolff and Heinrich Himmler, and Spanish minister Ramon Serrano Suner also feature. Non-belligerent - A nation or person that is not engaged in a war or conflict. Neutral - An impartial or unbiased state or person. Spain’s official stance of non-belligerence during World War Two is best taken with a pinch of salt. While its reasons to stay uninvolved appear legitimate, in reality Spain was arguably the most involved out of all “neutral countries”. “Non-belligerent” normally refers to a state or country that does not get involved in a war, normally resulting in their neutrality. Spain’s reason for not officially getting involved was, of course, the Spanish Civil War. This was a bloody civil war fought from 1936-1939 between the Republicans and the Nationalists. From an ideological perspective, the Spanish Civil War could be considered a precursor to World War Two and almost foreshadowed the end to the fragile equilibrium established in Europe. On one side you had the Republic government. They were largely liberals and fought against the conservative Nationalist rebels. The Soviet Union provided the Republicans with significant military assistance, although France and Britain were more wary about supporting them. The Republic also received volunteer International Brigades from Western Europe and the U.S. More broadly, many in Europe saw the Spanish conflict as a threat to the peace that had settled in Europe and wanted to prevent the spread of the Nationalists’ fascist-linked ideology. 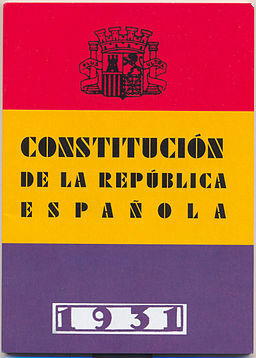 The Nationalists’ rebellion started off as a failed military coup but resulted in their leader, General Francisco Franco, becoming dictator of Spain. Fascist Italy and Nazi Germany both provided military aid, not only to support the Nationalists but also as a military testing ground for new weapons they hoped to later use. The rebels won in 1939 and General Franco was made Head of State. While General Franco leaned heavily ideologically to Nazi Germany and the Axis countries, he was careful to appease the Western allies for trading reasons. The main way in which Spain entered World War Two was through volunteers. The side with which each man volunteered largely paralleled the side on which they had fought during the Spanish Civil War. Over 18,000 nationalist men volunteered to fight for the Axis Powers, on the condition they would be fighting on the Eastern Front against the Soviet Union rather than against the Western Allies. By doing this, General Franco assisted and repaid Hitler while maintaining peace with Western Europe and the U.S.
Conversely, as a result of losing the civil war, many of the Republicans went into exile and fled to refugee camps in southern France. At the outbreak of the Second World War, they joined French forces to fight against the Axis Powers. It is estimated that over 60,000 Spaniards joined the French resistance alone. Just over 1,000 Spaniards (largely the communist leaders) fled to the Soviet Union and fought alongside the Red Army after the invasion in 1941. Diplomacy is where the term ‘non-belligerency’ is distinguished from absolute neutrality. While volunteers technically assisted both the Allies and Axis during World War Two militaristically, General Franco also provided the Axis Powers with both economic assistance and useful intelligence. In 1940, Franco signed the Protocol of Hendaya, which provided for close cooperation among the governments of Spain, Italy and Germany. Furthermore General Franco and Hitler engaged in numerous talks discussing the possibility of active involvement in the war and the issue of Gibraltar. This was an area of Spain in British control that Hitler was keen to seize. However General Franco repeatedly refused entry to German soldiers, arguing that the United Kingdom and its colonies still posed a major threat to Spain. In these discussions, General Franco often demanded too much in return for active entry into the war. Whether this was simply desperation considering Spain’s war-torn state, or a way of delaying irreversible actions, it resulted in a lack of official action. Among his other demands, General Franco asked for a large supply of grain to feed its population, which Germany could not provide. Pressure to invade Gibraltar was only relieved in 1941 when Hitler focused his attention on the Eastern front by invading the Soviet Union. After a meeting on October 23, 1940 to discuss details about the alliance between Spain and Germany, Hitler was famously quoted telling Mussolini: "I prefer to have three or four of my own teeth pulled out than to speak to that man again!” This suggests that despite ideological similarities, the two leaders had a hard time making definite agreements. Like most countries during World War Two, Spain was struggling economically. People were starving and it relied heavily on trade and imports to support itself. The Allies worked hard to ensure Spain could not afford to actively enter the war and used trading blockades and economic incentives to enforce that. Portugal and Spain had long had an alliance, therefore Portugal provided Spain with the much needed grain to ease its food shortages. However, to put pressure on Spain, America and Britain reduced Spain’s access to oil. All told, considering its economic and social depression after the Civil War, entering World War Two would have led to economic pressure which could have effectively brought the country to a halt. Great Britain also followed a policy of "building a network of mutual interests and creating the conditions, thanks to which any breakup between the two countries would mean a key loss for Spanish trade and industry.” This largely dictated Spanish movements towards the Western Allies during the war. As a result of tactical trade blockades and other agreements, over the war Spain was inescapably dependent on the United States and Great Britain. Despite its seemingly favorable views towards the Axis Powers in the early years of the war, General Franco changed his tune as Hitler’s indestructible façade began to slip and victory for the Allies seemed inevitable. It was only when this happened that Spain reverted back from ‘non-belligerence’ to true neutrality and began to act that way. However, this quick change of tact didn’t mean they could escape the consequences of favoring the Axis. As a result of their cooperation with Nazi Germany, not only militaristically but also economically, Spain was isolated by the major powers in the immediate aftermath of World War Two. Although Roosevelt had promised Spain would not suffer sanctions from the United Nations as a result of their alliance, the U.S. president died in April 1945, leaving Truman to take power, who was less forgiving of General Franco. That being said, with the onset of the Cold War in the late 1940s, the US later saw conservative Spain as more of an ally against the rise of communism, rather than a threat. In conclusion, while it is clear that Franco’s Spain did favor the Axis Powers of the war, it did not technically become involved in the war. Its conduct during World War Two combined flexibility on who her allies were with a desperation to survive. After such a damaging Civil War, Spain was not in the position to wholly side with either the Allies or Axis Powers. It begs the question, therefore, that if they had been a fit state, who would they have chosen? And does that make them any better? Did you find this article interesting? If so, you can read about the Spanish Civil War in our book – find out more here. The maps show the situation at four key stages of the Spanish Civil War between General Franco's Nationalists and the Republicans. They are a very useful complement to the book. Return to our Spanish Civil War page by clicking here. And remember, you can obtain a copy of our book on the Spanish Civil War instantly here. Images produced for www.itshistorypodcasts.com by Yazuo Baca of Luna Media Lab. So, you think that World War 2 began in 1939? Then you’re evidently not familiar with the Spanish Civil War. The war was Spain’s Great War. The country suffered death, destruction, and repression on an unprecedented scale. There were large-scale military battles that left tens of thousands dead. The world witnessed some of the largest air battles that it had ever seen. People from all parts of society, from labor unionists to priests, were heartlessly murdered. Extremists and radical groups saw an exponential rise in their size and influence. But, it was not just Spain that experienced its Civil War. The Spanish Civil War was also Europe’s and the world’s war. There was significant international involvement and interest in the war from the start, and it was a microcosm of the far greater war that was to follow it. It involved battles between democracy and dictatorship, Fascism and Communism, Germany and the USSR. The Great Powers of Europe tested out military strategies and new technologies, while tens of thousands of idealistic foreigners joined the war to battle against Fascism. At the same time, the great democracies of Britain and France played a more muddled role. 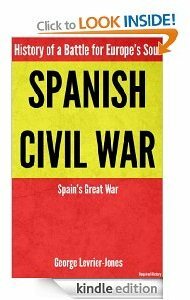 This introduction to the Spanish Civil War is the second book from George Levrier-Jones. The book considers the brutal war that arose between the political left and right in Spain over the years 1936-1939. The approximately 100-page book is the perfect complement to the Spanish Civil War History audio series that is available as part of the ‘History in 28-minutes’ podcasts. So come and join the past – buy the book now! The second episode in our series on the Spanish Civil War is out now! Spain’s true democratic experiment was tearing the country further and further apart. Traditionalist, conservative, Catholic Spain was increasingly at odds with urban, liberal, secular Spain. And in the fervent, charged atmosphere of 1930s Europe, both sides were increasingly viewing the other as an extremist enemy. Then in February 1936 an election was called. This episode looks at that election and how its aftermath led to a very international civil war. We’re back with the first episode in our brand new series on the Spanish Civil War. The Spanish Civil War is surely one of the most important civil wars of all time. It was a war that had ideological, social, class, religious, regional, and economic divides. It was a bloody war that saw brutal repression. And it was a war that had a major international element - it involved battles between democracy and dictatorship, Fascism and Communism, Germany and the USSR. In short, the war was not only a battle for Spain’s soul, but a battle for Europe’s and the world’s soul. And I haven’t even mentioned how important it was for World War 2.. So you’re interested in history? Or, how to understand the past.. The past is a mysterious place. From Ancient Egypt to 15th Century China, and the age of European colonization to the Russo-Japanese War, there are so many questions that remain unanswered. And even more questions to learn about.. I suppose that you’re reading this as you have an interest in history. Whether as somebody who served in a conflict and wants to understand how other wars were fought. Whether as somebody who is fascinated by how people lived before you. Whether as somebody who enjoys historic monuments, podcasts or books. Or, whether as somebody who is studying history and is here because they do not want to fail their exams. Whether you are none, one or all of them, as long as you have an interest in history, read on to find out how we can help you understand the past. But, why on earth should you listen to what we’re telling you? We’re a group of friends, amateur historians, who have always been fascinated by and passionate about history. The lessons you can learn from it, the events that happened, the differences between different ages and countries. Understanding where we as human beings have come from. And it’s not just the big things, but the small things too. Thinking about Neanderthal man in his hunt for food or how Napoleon Bonaparte spent the evenings before major battles. Between us we have discussed and shared knowledge of a wide variety of historical events over the years. In short, we love learning about the past, and have decided to take our passion one step further. So we have read far and wide to share our passion with people like you.. So, just how can we help you understand the past? Well, when we decided that we wanted to share our knowledge, there were a number of options open to us. Like many other sites we considered developing a series of in-depth podcasts on one topic (like Ancient Greek History or World War I), but we realized that we have disparate interests and limited time. Then we thought that there is so much that we want to learn about the past – different conflicts, people, and centuries – that it would be better if we brought you introductions to history. This way we can get your shoots of curiosity going – introducing you to one subject so that you can go off and research it in more depth! Or move on to the next subject in history.. As we shall be doing! That’s because our history podcasts will allow you to quickly and effectively learn about the past – in just 28 minutes (well, more or less!). What we’ve done is to take complex historical subjects and dissected them down to the key points. And we’ve taken the podcasts one step further by creating books on the subjects we cover. We’re now starting to write a (hopefully!) regular blog. And what we’re really hoping is that we will be able to get some experts to write for us occasionally. Then, if that works out, who knows? A magazine where we go into still more detail and start gathering controversial opinion on topics in history is the dream! In short, we want you to understand the past with us, then come back and teach us. We don’t know everything.. Far from it! We want you to give us an introduction to history too. Er, so what can we teach you about? 20th Century history. That’s vague, we know, but as it is so relevant to so many of us, we want to focus on our ‘living past’ where we can. Indeed, one of the reasons why we started with our series on the Cold War was that people can ask their relatives about it and how it affected them. Another of our ‘generalist’ areas and one in which we have several series planned is the 19th Century. Just because. Civil War. Civil wars always seem to be fascinating affairs. I remember learning about the English Civil War while at school, and my further reading on different civil wars, continues to intrigue me. As well as our series on the Spanish Civil War, we shall be looking at the America, Chinese, Russian and English Civil Wars, as well as the French Revolution. The rise and fall of Communism. Both of the previous topics are related to this. The rise of Communism is an intriguing event in 20th Century history for so many reasons. The system came to dominate much of the world before falling away. We shall be looking at how it arose and what happened in Communist societies in more detail. Colonialism. Colonialism is vital in understanding the modern world and world history. And it’s breadth is astonishing. I was fortunate enough to visit Ilha de Mocambique in Mozambique a few years ago. The place oozes faded colonial grandeur. And if you don’t know about ‘Ilha’, you soon will! On a larger scale, we plan to cover a number of major events in our history. The voyages during the Age of Discovery provided me with fascinating bed-time reading when I was younger and I hope that the tales will be enjoyable for you too. 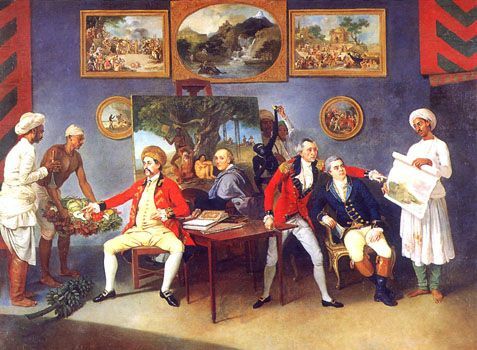 We also plan to cover the American Revolutionary War, the Boer War and British India among other colonial topics. And that’s not all.. There may well be some special podcasts this year – stay with us for more information! Finally, we’re not Wikipedia, but.. In the meantime, what we shall do is to provide you with (sometimes) humorous ‘117-second History’ introductions to the topics we mention above as well as many other topics in history*. * - that’s the plan anyway, but as history teaches us, unexpected events can throw a spanner into the works of the very best plans (and we can’t claim that ours are the very best plans). What else would you like to see us create podcasts and books about? One of the reasons we created the Spanish Civil War History podcasts as our second major series was that it was suggested to us by a friend, so we will listen to you (well, some of you at least!). This will be the first in a regular series of blog posts. Listening options for the History in 28-minutes podcasts are available by clicking here. The first episode in the latest series on the Spanish Civil War is below. Our new book is FREE - until May 29th only! Our new book is FREE INSTANTLY until May 29th. Grab your copy now while you still can!